Well hello there, sorry for the prolonged absence! In my defense, my wife and I recently welcomed a third bundle of joy into the House of Price, so things have been a bit chaotic recently. Other than checking in to reassure you that I am still alive and have not absconded my role as Civil War author, blogger, and occasional annoyance to Kevin Levin, I thought I’d update you on my newest book and give you a few dates for some upcoming appearances. Those looking for a “battle book” which focuses on new operations rather than rehashing Gettysburg for the 10,000th time will find it well written and entertaining. It may give Gettysburg buffs new insight into Hancock, one of the heroes of that famous fight. 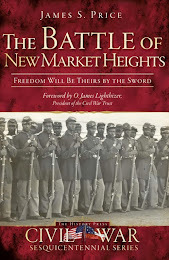 The author and publisher are to be commended for bringing to light not one but two obscure Petersburg Campaign battles with Price’s first two books. I am extremely grateful for his kind words! Price's The Battle of First Deep Bottom strikes an ideal balance when it comes to small unit detail within a larger battle narrative. The author proves himself adept at simplifying complex events without the demanding reader feeling shortchanged in the bargain. How the topographical features of Deep Bottom's surrounding military landscape would affect both defensive and offensive operations are clearly explained in the text but they are also well rendered visually in the three maps created by master cartographer Steven Stanley. I highly recommend this book to anyone interested in the Petersburg Campaign or anyone interested in General Hancock after the Gettysburg Campaign. James Price has created a readable narrative which flows greatly along with a well-researched work that is extensively resourced. 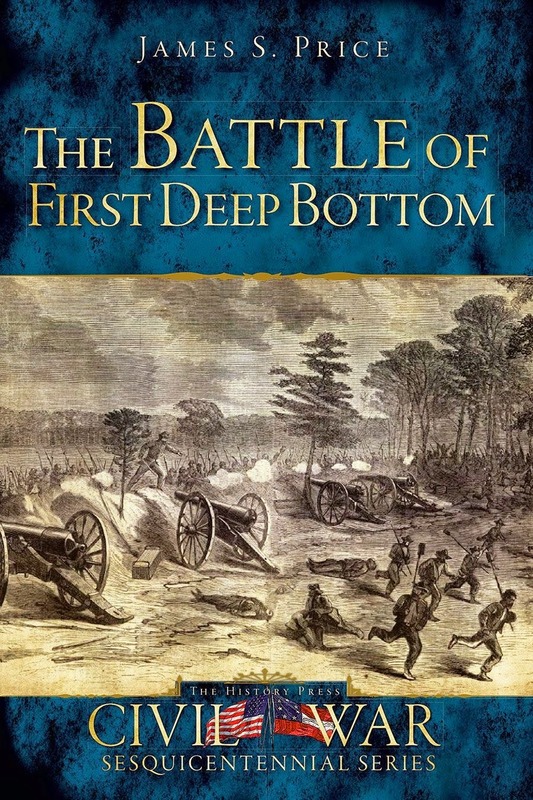 The Battle of First Deep Bottom is greatly important to the overall campaign of Petersburg and thanks to James Price, there is now a cohesive comprehensive account concerning the engagement. Highly recommended. I must admit to being a bit overwhelmed by such effusive praise, but I’ll certainly take it! 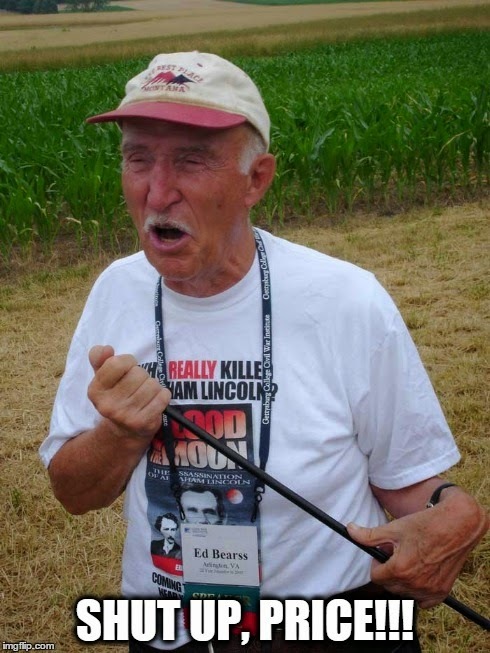 Yes, you read that last line correctly – I will be sharing the stage with the one and only Ed Bearss! Let’s hope I have something meaningful to contribute to the discussion. Also, if you happen to live in Northern Virginia, I will be appearing on the Virginia Time Travel television show discussing Arlington’s Freedman’s Village and various and sundry other matters. 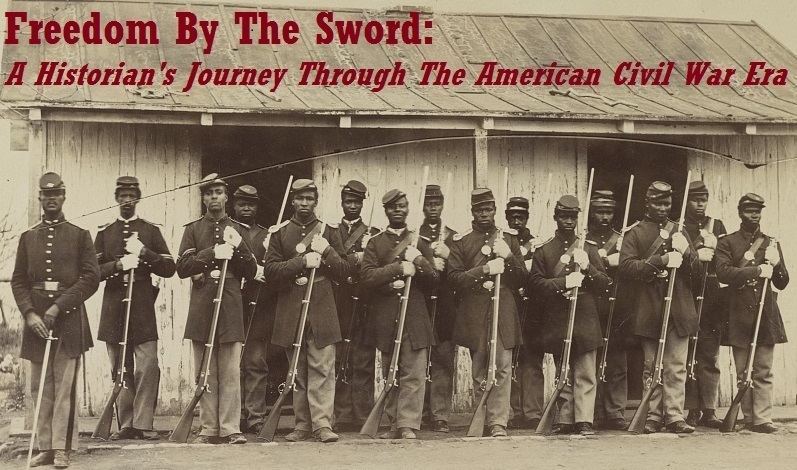 That being said, I have two Civil War subjects that I would like to write about – Freedman’s Village and Sheridan’s Richmond Raid and the Battle of Yellow Tavern. Which would you like to see come to fruition first?